If you've been watching the coverage aimed at key California congressional districts, it's hard to sort out where things stand in the Democrats' efforts to push out incumbent GOP representatives and the Republicans' efforts to fight back. Across the country, the battle comes down to 23 seats. That's the magic number of races Democrats would need to win to take control of the U.S House of Representatives. To help you get a sense of where voters stand, KPCC has partnered with The New York Times and Siena College on a live poll that covers the four key congressional districts in Southern California. It's part of the Times' larger effort to track likely voters in the most competitive House and Senate races nationwide. Q: What stands out about The New York Times poll? Pollsters surveyed likely voters in the 25th, 45th, 48th and 49th congressional districts. Three of those districts are largely in Orange County, and a fourth is in northern Los Angeles County with a few voters in Ventura County. These are all intensely close battles between Democrats and Republicans that could go either way. The polling results thus far seem to match what analysts watching these races have found, with one exception — that's in the 45th Congressional District, where Mimi Walters, a Republican incumbent, is facing Democratic challenger Katie Porter. Q: What do results look like in that race? The Times polling shows Porter up by 5 percentage points, with 8 percent of likely voters undecided. As a point of comparison, The Cook Political Report, which offers nonpartisan analysis of the districts, has rated that seat as a Republican toss-up, giving a slight edge to Walters. Q: What's different about The New York Times polling? Theirs is a live poll, which means during the period when voters are called, the results are updated in real time as the answers come in. Voters were contacted on cell phones and landlines in both English and Spanish. The sample is also weighted to match estimates for the district's likely electorate. "The idea came from, could we pull back the curtain on polling? Could we show people how hard it is? How many people you have to call before you conduct an interview? And then, how those interviews move from a series of questions to an estimate," Levy said. By "estimate," he means an approximation of how people feel about each candidate. If you live in one of these congressional districts and want to do a deeper dive, the Times put the results in context for you. You can see the links to results of other polls all in one place and read about how they arrived at the results, including caveats about the poll methodology to take into account. In districts like the 45th congressional, the Times also asked voters about issues like health care. In the 48th, where pro-Putin Republican Dana Rohrabacher is seeking re-election, voters were asked about Russian issues, among others. The first round of live polling for the four districts has finished, and a second round will begin in mid-October. Additional California Congressional districts are expected to be included at that time, according to Levy. Q: We've been talking about the NYT polling of congressional races. What other polls are worth watching? A good approach is to look at many polls — and there are many out there. Special interest groups and campaigns are running their own polls. 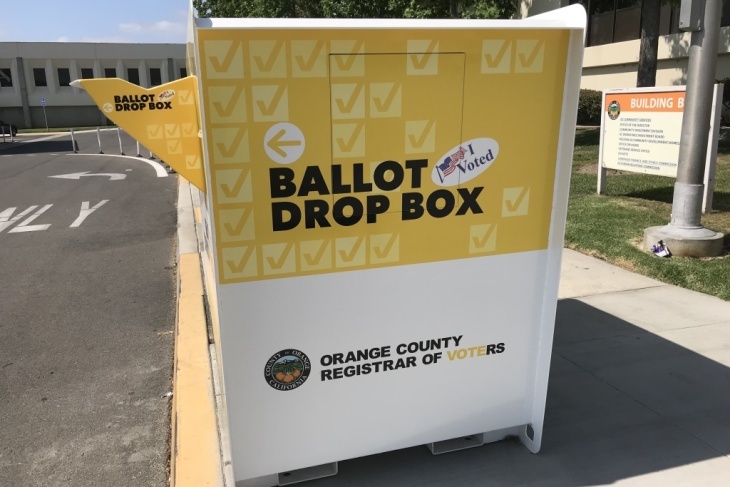 There are also more traditional public polls taking place, like those conducted by UC Berkeley's Institute for Governmental Studies and the Public Policy Institute of California. Q: What tips do you have for getting ready to vote? What are other good voting and election resources? Our Voter Game Plan is a great place to start if you're a first-time voter or a veteran voter doing research on candidates and measures. If you have a question, just email humanvoterguide@kpcc.org or text us by sending "VOTE" to 626-314-6135. Correction: A previous version of this story incorrectly identified one of the Congressional distrcts as the 49th, Rohrabacher and Rouda are competing in the 48th. LAist regrets the error.